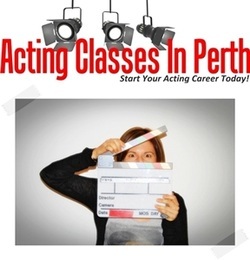 Hi guys and welcome to the Acting Classes In Perth blog. I’m Loren and in this session we're going to explore the magic word that every actor needs to know. It doesn't matter if you're a beginner, if you’re an intermediate or if you’re an advanced actor, it really doesn't matter. You need to use this magic word, whatever level, whatever script and whatever character you're working on. I have a lot of actors that come to me at our workshops and they ask me "Loren, how am I able to develop a more complex character?" "How am I able to take my characters off the page?" "How am I able to take these characters and make them real people?" 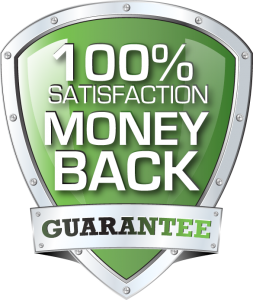 The answer is quite simple, the answer is - use the magic word, and the magic word is 'why'. The magic word 'why' is used like this - let’s say you have a character that has been at work all day, it's two o’ clock in the morning and he finished work at say five o’ clock, and he gets home at two, he sees his partner, and we kinda now have to backtrack a little, because it’s not in the script. We have to add these connections ourselves, it’s called 'reading between the lines'. So what we do is we say ok, why is he arriving home so late? Let’s kinda just make this up as we go along, ok, so let’s say he was out at the casino. Ok, so we use the magic word, why was he out at the casino? Well, he has had a stressful day, in fact his whole week has been stressful, it’s now Friday, he’s had a very stressful week. Ok, magic word, why is his work so stressful? Well, let’s just say that he's been promoted, let’s say that he’s in a job and he’s been promoted, let’s say that he’s actually been promoted to a level that maybe he can’t manage. What we’ve done here is we’ve created several more layers, several more steps, with just using this one 'why'. We’ve created a much broader understanding of this character. Now we can keep applying this to all the areas of the character, all the aspects of this character's life, including and most importantly his relationship with himself, his relationship with his partner, or the other characters in the scene, and also his relationship to his environment. Whenever you're doing your character development, whether that be in the early stages when you get your script, or whether that be on set, and you ask yourself, where am I at? My character, where is my character coming from? Why are they coming here? What’s the emotional context behind all this? You need to use the magic word, the magic word is 'WHY'. It will get you out of so many sticky situations and it will create some really complex characters. It will give you a lot of depth. Guys I hope that helps, and if you found this tip useful, give us a big hug, give us a share. Click the button below, using one of our social media icons, and share it on your Facebook or Twitter or Google+ account and share the love, we’d love to get that all happening. Guys until next time, as always stay safe and happy acting.